Judo will always have a special place in our hearts. Our two co-founders, Michael Shpigelman and David Ancor are accomplished judokas and the idea behind MAKEACHAMP actualled stemmed from their judo competitions. As such, excellent platforms such as JudoInside, are very important to us and judokas worldwide because they rally the community, and put in hundreds of hours to make sure all judokas have the latest competition information and media updates. What's more amazing is that JudoInside is (almost) single-handedly run by Hans van Essen. Who is Hans? How does he manage JudoInside? Read below to find out. MAKEACHAMP: Hi Hans. How did you start out in judo? How did the JudoInside.com venture come up? 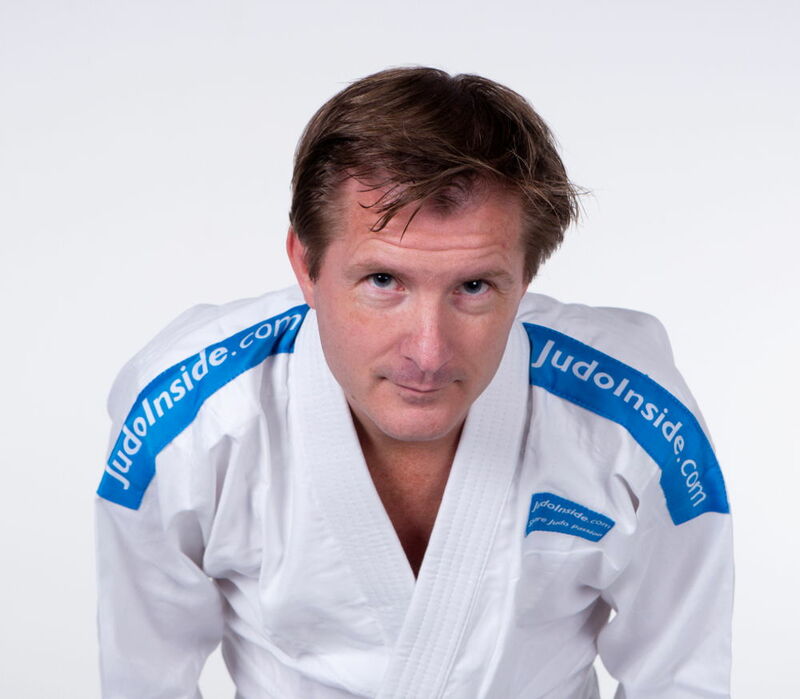 Hans Van Essen : JudoInside.com was founded in 2002, but the story begins much earlier. Obviously I did judo myself starting when I was six years young and was a black belt since my 18th, but I knew I wasn’t the best, and since I was 10 I wanted to become a sports journalist, so same for training, you have to do your homework and train hard to become the best. So I did, and I started collecting judo results: first about the top athletes, then about the events they competed in, then past events and results, then juniors, and from there, there was no turning back. When I took the chance to publish my database online and share it with the world, I learned that it gave me the opportunity to not only share, but also to gain knowledge since fans get enthusiastic and send in results or want to improve their profiles. Because of my knowledge, even much before JudoInside.com existed, I was media manager at the major events, such as the Sydney Olympic Games and Athens Olympics. JudoInside.com is in fact an unpaid job, but the payback is priceless. I'm amazed about the information and media showcased on judoinside every week. Can you share the numbers with us? In total there are currently 95,000 judokas sharing 400,000 results in approximately 10,000 events. In fact, in each event there's various content, but I log those in the major events of the world, otherwise it’s undoable, unreliable and incomparable. So I am always managing what I should NOT do. It’s comparable to an athlete….focus. How did you get the idea and how was it started? I want to be thorough in my journalistic reports, stick to the facts, but now I can create facts, create news, surprise people with things which they didn’t even know themselves, and the next step is analysing and providing statistics and models where coaches and federations can extract knowledge. As a matter of fact, I offer federations my analysis on a professional basis, but only for federations that have a vision and believe in statistics as part of the preparation. You can already see trends in the data: for instance you can see the birth of true judo nations like Mongolia and Uzbekistan, or comebacks in Belgium; You can see that the youth of Turkey have problems turning their talent into medals, which now seems to be affecting the success rates of the seniors. Also countries with individual stars like Greece, who grew out to become a judo nation. Nations with a broader sports culture where judo benefits like Brazil, Azerbaijan, Russia, you can see all those developments with data. That mix of analysis and the common sense and feeling of a coach can be a successful combination for more medals. JudoInside relies on a worldwide team of contributors as well as photographers. Can you share with us the process on how you collaborate with contributors on a event? Let’s imagine for example the European Judo Championship 2015. Haha, that’s a tricky one. That event is cancelled and included in the Baku European Games. But in general I have developed a nice platform that attracts a lot of judo people, and that is also a good platform for photographers, first to share their content for passion, the same passion that I expose and secondly to enlarge their podium and name as a photographer. JudoInside.com is a grown-up internet site and I have a few photographers who also make their accreditation via JudoInside.com for the major events. I am not a good photographer, but I have the passion to showcase the photos in a nice way. I also try to tag the judoka who’s positive in the photo, so the one who’s thrown won’t see it in his profile, but obviously if it’s a good picture, I would still publish it. If someone is in the picture with Ilias Iliadis or Riner, he can be proud of fighting him at a certain level. The magic word is ‘positive’. That’s different for news. Soon I will publish news, this is one of the reasons that I have this crowdfunding campaign. News can be positive, stats can be positive, but also extraordinary or shocking. News is news and the truth prevails. So I play that Judokas see the opportunity to share their stories with platforms like JudoInside.com and also share it if it’s negative as together I’m sure we can twist it and make a good human interest story, with ups and downs. Much more than ever JudoInside.com will share photos, many more videos and news stories with the world of judo. Mostly positive, sometimes shocking, but I hope not too much. We also see other sites like 100judo as well as sites like eju.net that you have started. Can you share with us how you are involved and the relationship with judoinside? Yes, people can see that I have my fingers in more projects than just JudoInside, so I host 100judo.com, write most of the stories, but 100judo is typically a site that is not only done by me; it is typically built up with contributors from many areas in the world. Also we jumped into a news area where there’s a need for honest information. Most of the existing platforms like IJF and EJU have either written nothing, not much or boring stories. When I started at the EJU as Media Director in 2009 fans could immediately see what I contributed. Suddenly news was written regularly, about many assets (not just the top athletes), about various themes (education, refereeing) and with many added multimedia. That also inspired the IJF and they did a great job. To be honest when I left the EJU in 2014 due to a conflict you could see that it was not so easy to continue the trend of writing and publishing. It requires 24/7 attention and passion. I must give the IJF a big compliment for their improved coverage and I hope that JudoInside inspired them to work more with stats and multimedia. But why did you leave the EJU, it seems like a good combination? It definitely was! I very much enjoyed my period as media director, publishing a lot of results, promoting a lot of events and federation activities. I enjoyed the people and colleague, but here’s the truth. EJU started a project in 2013 to start an external platform, bad idea from the start. But despite my advice, I do of course what my employer wants. However the external guys who developed this project have stolen the data of JudoInside, the data that I collected for almost 25 years, and published it. When I found out, our relationship collapsed. Probably no one behind this idea thought about managing the data. This is my biggest challenge, managing data. You can have a lot of data, goodluck, but then you have to manage it as the next day it’s outdated, so you need a network and commitment. Those people never asked me permission while I’ve offered them twice and they did a conscious technical effort to take this data, which wasn’t theirs. After the draw of last year’s European Championships I closed JudoInside.com for 24 hours to show that this behavior has nothing to do with the respect in judo that we are taught. Embedding JudoInside content with source or cross promoting our joint work is good for both parties. When a judokas and clubs use our profiles and source JudoInside.com, that’s fine and most welcome. However when an organisation grabs a collection from a closed environment and publishes it without a source, then you disgrace the judoka who earned those results. Now judoinside has a team behind it, what do you see in terms of future for judoinside.com? I will soon publish many more videos, I have already published thousands of photos, now more than 25,000 so a big thank you to all those photographers! 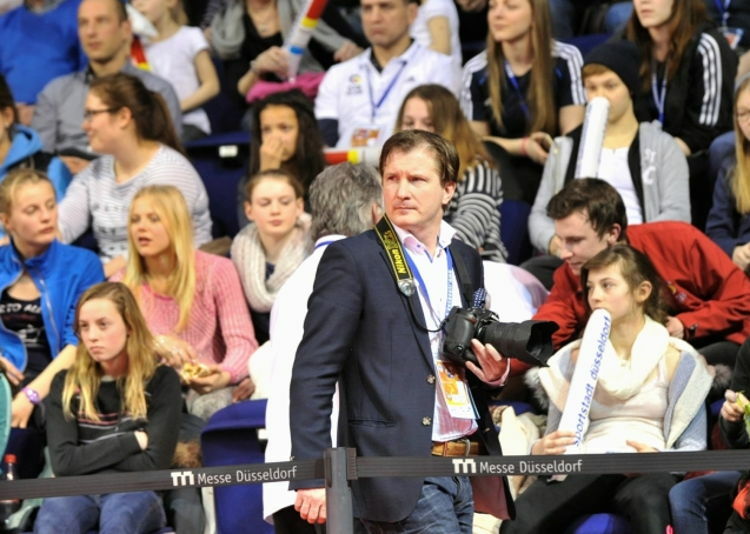 Thank you to all those photographers including the federations’ media teams. They finally understood that sharing content is much better than protecting content with those who made the effort. Proof of this, is the new option offered by the IJF to embed their content in your own website, or from EJU to embed a video feed into your site. That’s a vision that I have for the benefit of the sport. I will embed videos and combine the site with the latest news, which makes JudoInside.com a site that you simply cannot miss. Our team is small but with world class people who understand the passion and ambitions we chase, the supporters that we touch with our content. 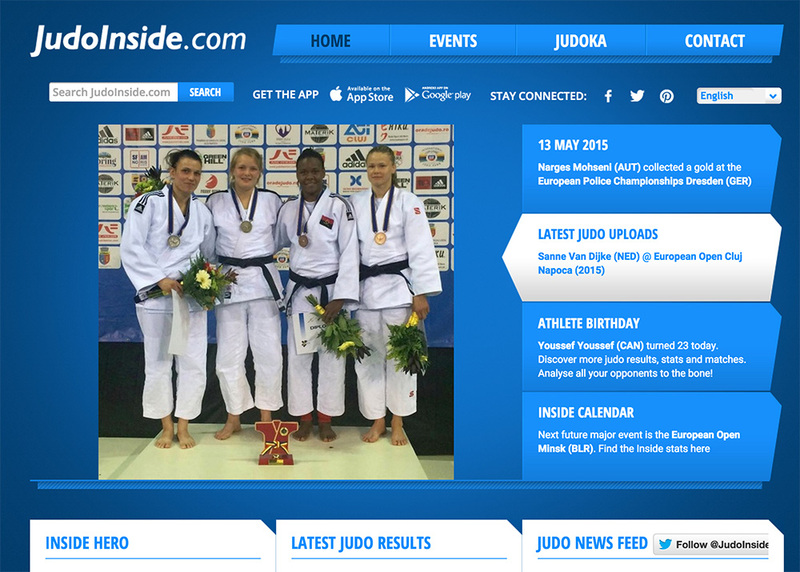 One of my favourite sentences is that a judo medal starts with JudoInside.com. #analysis is part of the world of sport. The American Sports have showed us, Moneyball showcased it, Football slowly understand the need, and some coaches in judo who have a vision have acknowledged that statistics help in the preparation, in developing a long term vision, help in communication to create heroes, to support events, to win event bids and to improve TV coverage. This is what data can do, and I claim that the new JudoInside contributes to all aspects. Thanks Hans for sharing! We are proud to have JudoInside as a judo partner and looking forward for news and photos from JudoInside.com !